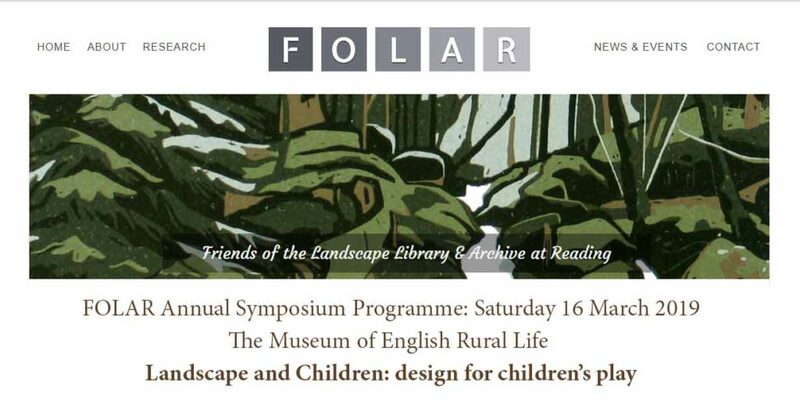 Congratulations to all involved with an excellent FOLAR symposium on children’s play.There are 3 videos embedded in this blog post and the other 6 can be found on another blog post on chidren’s play. After 2 years as President of the Landscape Institute Merrick, very appropriately, handed over to current LI President Adam White. Adam introduced the symposium with a very attractive exposition of how LTL principles can work in practice. Davies White is a landscape practice that specialises ‘in children’s playful landscapes and gardens’. My contribution was a short reading from page 97 of Patrick Geddes 1915 book Cities in Evolution (Chapter 5 ‘Ways to the Neotechnic City’). As well as being the leading planning theorist of the 20th century, Geddes was the first European to use the term ‘landscape architect’ in its modern, Olmstedian, sense (see post on Frederick Law Olmsted and the father of landscape architecture). Carley Sefton as Chief Executive of the Learning through Landscapes Trust gave a presentation of what has been achieved since its establishment (30 years ago) AND of what remains to be done. It’s a lot.